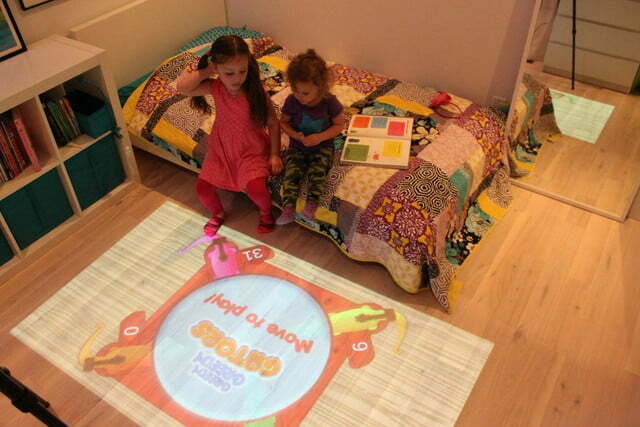 If you ever pretended your floor was molten lava, forcing you to jump from chair to table to footstool, you’re going to want relive your childhood with a new interactive projector. 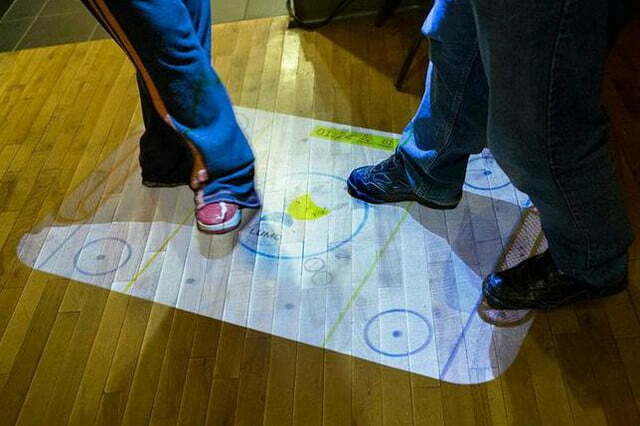 Lumo converts your floor in to an entertainment zone. While not expected to be ready for its first rollout, Lumo will one day incorporate everyday items in to the fun. The projector will recognize a toy car, for example, and alter it with light to look like a spaceship. 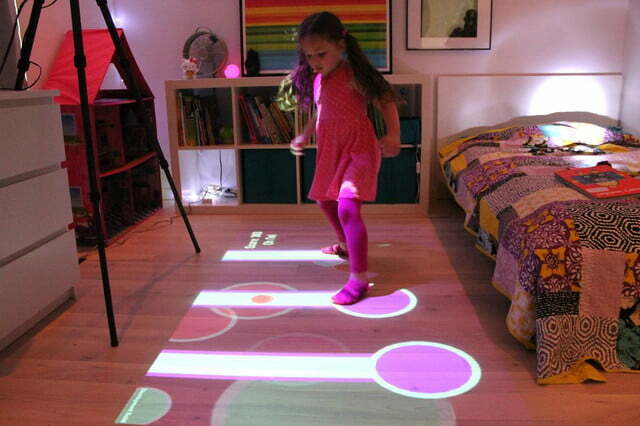 The toy’s patent-pending technology uses ambient IR light and an internal, low-resolution sensor to detect movement on a projection area. Tracking algorithms facilitate interaction with the projected image. 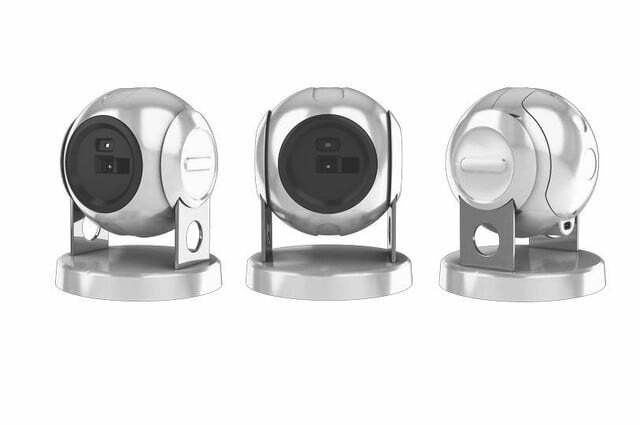 The unit’s swiveling projector ball has a child lock and uses a standard plug-in power adapter. What scores the gadget more points is its custom-design feature. Using drawing tools and an asset library, children can create their own effects and games online using templates in drag-and-drop style. They can upload or draw their own artwork on Lumo’s website and save and send their games directly to the ball of fun when finished. 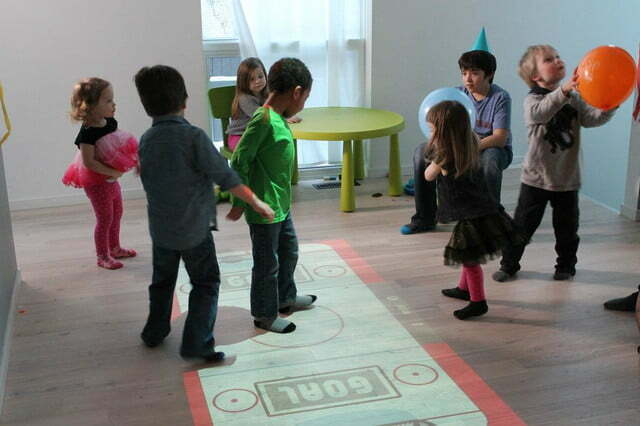 Lumo is also a regular projector; to play movies, users release the top latch and place it on the table. The development team has future goals of designing content for the ceiling – think stars and sheep for sweet dreams. The team is at work expanding its game collection, but using a Bluetooth-compatible controller, users can also play any existing Android game on tablets using gaming-platform Unity. The Canadian team started developing Lumo in 2013, and it’s now on its 6th prototype. To keep their ball rolling towards lens tooling, app development, and other manufacturing goals, they still need crowdfunding help. Since launching its Indiegogo campaign, the company has raised $23,000 of their $80,000 objective. It’s going for $549 right now, but you’ll have to wait another year for its June 2016 delivery.